introducing a more effective method of mobility than the traditional white cane. A completed form and report from the Ophthalmologist explaining the cause and degree of blindness. Parents/students may call the office at any time during this process for further information or clarification. We are always glad to speak with you. Once all of the above information is received in our office, we will arrange for a phone interview with the applicant/family. The paring of a MIRA guide dog with an eligible student includes extensive evaluation of the student’s ability and need; readiness and mental stability; assessment of Orientation and Mobility skills. Contact with the applicant and the applicant’s family is ongoing as is continuing monitoring of specific Orientation and Mobility Skills. In-person meetings with the family and the child enable us to determine the ability of the child to work with a guide dog. An Evaluation Weekend is held for all eligible applicants and their families in which these skills are analyzed to determine readiness. At this weekend, the student is given the opportunity to walk with a MIRA guide dog to further evaluate the effectiveness of a guide dog for the child. Parents will have hands on opportunities to experience the training, to meet other potential candidates and their families and to ask additional questions and to gather further information. Not every student who is invited to this evaluation weekend will be eligible to receive a guide dog at this time. There are times when the trainers make suggestions for students to work on so that perhaps the youngster will be able to get a guide dog another year. Safety is a primary responsibility and it is foremost in our minds as we go through this evaluation. If accepted, a month of intense training takes place at the MIRA Campus in July of the selection year. If students are invited to the Training Center, additional information will be sent about the next phase, training at the MIRA Center in Canada in July. The month long training process will enable the child and the trainers to know if the criteria for successful handling of the dog are sufficient for safety. 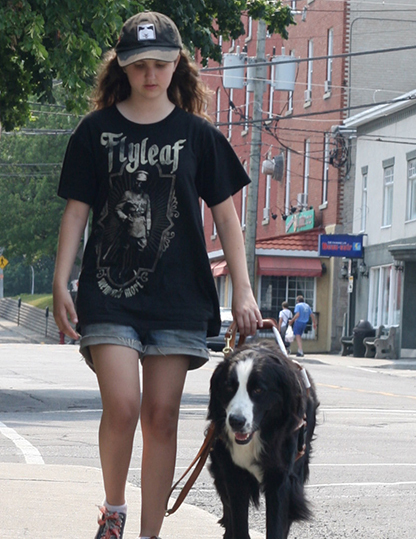 If there is concern that the child and the dog will not be safe, the student may not receive a guide dog that year. After the thirty days of successful intensive training, individual follow up sessions take place at specific intervals in each child’s home town. These are conducted by the MIRA trainers to be sure the guide dog and the child become familiar with the appropriate routes traveled in their community and school. Each of these sessions can last several days. Our MIRA dogs are provided free of charge to eligible students. The process of matching and training a child to work with a dog is intense. We are delighted to work on the process and are so pleased with the results of successful pairings of youngster and guide dog. *Note: Our guide dogs are provided to youngsters between the ages of 11 and 16 but the process can take some time. 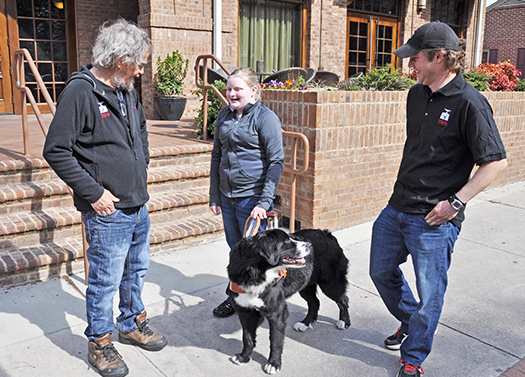 It is not unusual for parents of children as young as 9 to inquire about a guide dog and begin the process with us. All forms will be sent from our office.